Even though this was a short work week it felt incredibly long, not to mention stressful! I think everything that could go wrong did! Needless to say, I’m happy it’s the weekend. 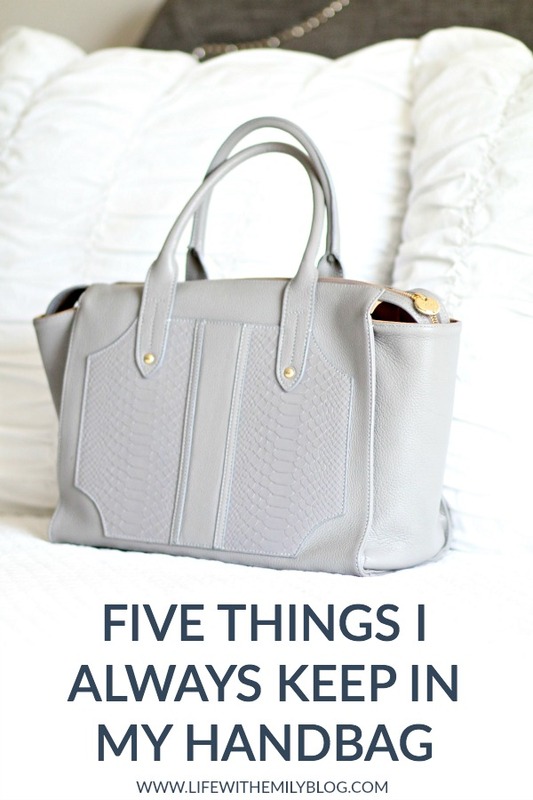 If you popped in last Friday, you’ll know that I decided to start a new series called “Five Things.” I started the series with Five Things About Me and today I’m back to share the five things I always keep in my handbag! 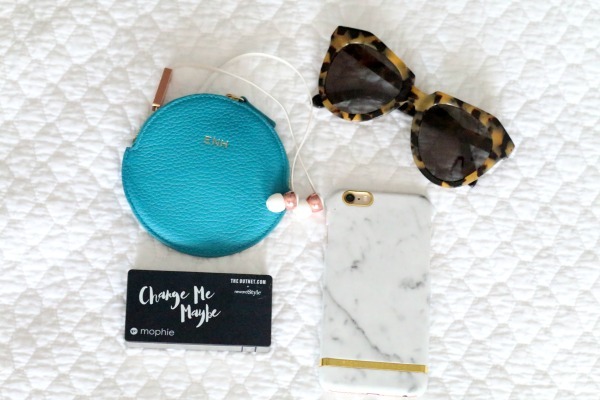 Click through to read about what I always carry! First up, let’s chat about the bag. As you all know, I have been a loyal GiGi New York fan for years and years. 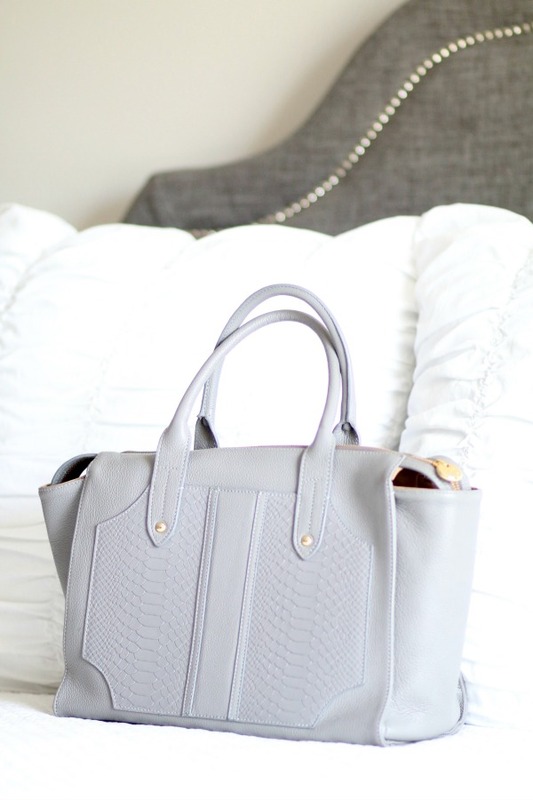 They make a quality product that I can personally attest to (because I am hard on bags!) One of my favorite bags of theirs is the Gates Satchel. The style is so chic and it’s very spacious. I find myself carrying this one often, especially in the fall. 1. LIP PRODUCTS | I am a sucker for lip products. If you know me in real life, then you know I am always putting on chapstick and it’s scattered in every bag and drawer around my house! 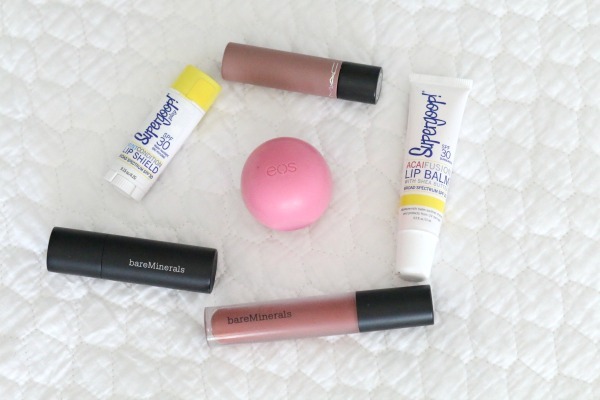 Below are a few of my favorite lip products that I make sure to have on hand…. a few chapsticks, a few glosses, and a few lipsticks! 3. PORTABLE CHARGER | My battery is constantly dying on my phone. It’s like as soon as my feet hit the floor my battery is at 50% already haha! Throughout the day I try to charge it whenever I can, so I throw a portable charger in my bag so I’m not stranded without a phone! 4.BOOK | It’s no secret around here that I love to read. I like to keep a book with me so that I can read a few pages between appointments, in waiting rooms, etc. I’ve been doing this for years now and it really helps pass the time while waiting somewhere! 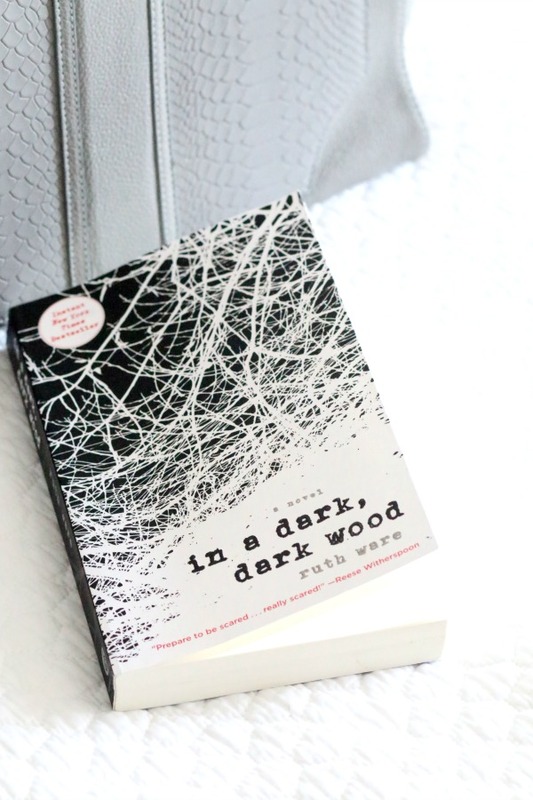 I’m currently reading In a Dark, Dark Wood by Ruth Ware and it’s good (not as good as The Woman in Cabin 10, but a page turner!) P.S. I have a made a virtual bookshelf to share what books I’m reading/read! 5. MY PLANNER | I’m one of those people that write everything down. I love technology, but when it comes to my schedule, my to-do list & taking notes I like to put pen to paper! 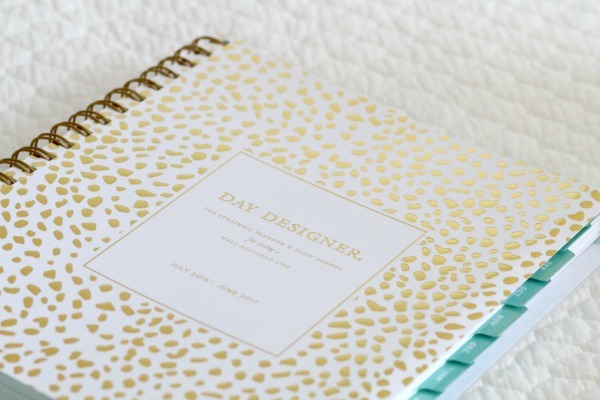 Speaking of planners, I feel like I can never find one that fits all of my needs. Every one that I try is constantly lacking something, whether it’s writing space, a place for extra notes, etc. I spotted this Day Designer at Target the other day fro $20 and decided to give it a try. So far I really like the amount of space it has and that it has specific spots for to-do lists and notes! Yes! I definitely have all of these in my bag except for the planner. Because I use a jumbo size, I use that at home to look at each day and night, and carry around a smaller notebook to jot down notes/things I need to do. Also, I really want a Gigi NY bag - they are just stunning! I need to get a portable charger ASAP, my phone is always dieing!